In one Arizona city, an accidental text message has led to a beautiful Thanksgiving tradition. Two years ago, Wanda Dench texted a Thanksgiving dinner invitation to a young man she didn't know, mistakenly thinking she was messaging her grandson. Surprisingly, the stranger responded: He said he didn't know Dench, but would come to dinner if the invite was still on the table. He did, and the pair became fast friends. This year, they did it all for a third time. 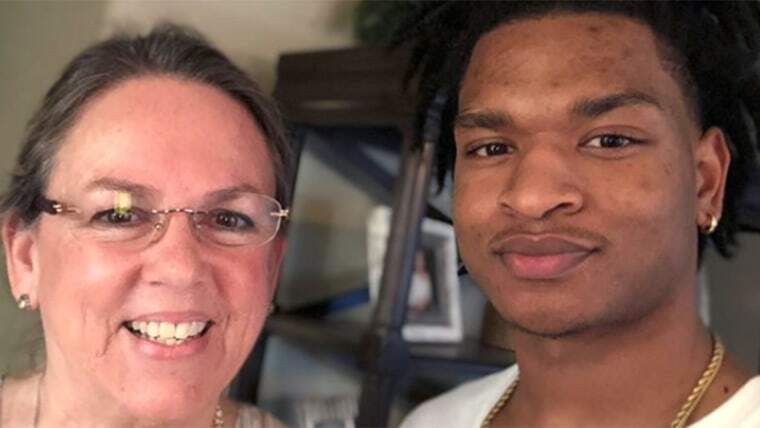 Jamal Hinton, 19, joined Dench and her family at her home in Mesa, Arizona, for their third Thanksgiving together, in what appears to be a beautiful tradition. On Instagram, he posted a photo of this year's festivities with the caption "It's a tradition now." "We kept in touch," Hinton told TODAY last year. "She's very friendly." He added that he had a great time and brought his girlfriend to meet his "new grandma," along with a homemade pumpkin pie. Dench told CNN last year that she was thrilled to see him again. "My husband and I were really happy he came," she said. "It was more low-key and quiet. We reminisced and talked about last year, how it was such a whirlwind. I learned a lot about the internet I never knew." Their story went viral after Hinton shared screenshots of their text message conversation online. When he jokingly asked if he could still come to dinner, Dench responded in the best way possible: "Of course you can. That's what grandmas do ... feed everyone." And since the pair hit it off in 2016, Dench decided to invite him again in 2017 and again this year. "I reached out to him about a month before and said, 'Thanksgiving is at my house again; I'd really love it if you would come,'" Dench told CNN. "He has family that's close by, and I understood if he couldn't. But he did spend half of Thanksgiving with them and the other half with us." Hinton told TODAY that he and Dench had kept in touch over text messages. Hinton, who graduated from high school this year, wants to go to college and law school and become a sports agent, and Dench offers him career advice when she can. They're both thrilled by all the positive attention their friendship has gotten. "I love it," Hinton said. "I love how people are coming together and seeing the good in this story, and how much the world loves it. It's great vibes."